Great start for Free Electrons (FE)! 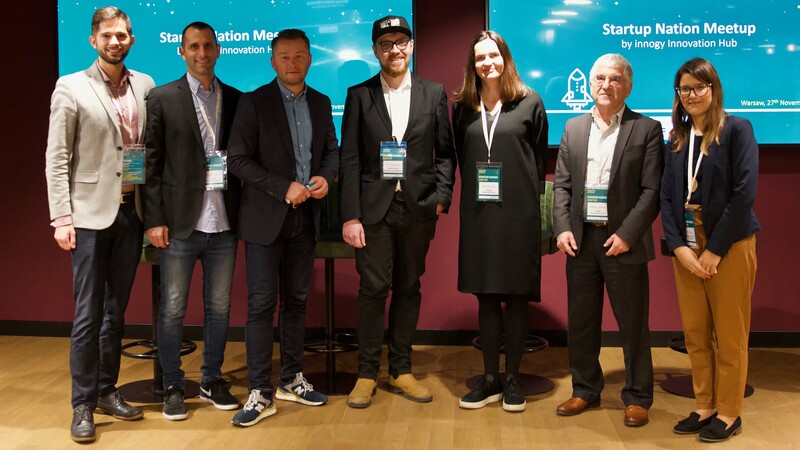 The first global energy startup accelerator program that connects the world's most promising energy startup companies with leading utility companies has entered its acceleration phase. After selecting the 15 finalists out of more than 500 applications from 65 countries in a successful bootcamp in Lisbon in March, the start-ups are now looking forward to the grand final on october 5 in Berlin. With 3 start-ups the United States are the biggest contributor to the final list, followed by Portugal and the United Kingdom with 2 each. In total, the program will include a very diverse mix of nationalities from countries like Switzerland, China, Bangladesh, Norway and Germany. Smart Grids - helps utilities make their power grids smarter and reduce costs. Watch here what Project & Sales Engineer Benjamin Schaule has to say about his start-up idea. Smart Grids - all about energy-saving carbon management, based on Big Data. Watch here how CEO and Founder Chunguang Wang describes her start-up approach. Customer Solutions - generates unparalleled insights based on smart meter data. Daniel von Gaertner Co-Founder & COO Fresh Energy sums up his start-up approach here. IoT & Digitization - provides Metercloud, the Smart Utility Hubempowering Smart Grid. CEO Thorsten Heller explains his start-up concept here. Smart Grids - provides simple, off the shelf analytics for power utilities. Founder Tagg Jefferson explains his start-up idea here. Smart Grids - develops & sells monitoring solutions to utilties. CTO and CO-Founder Connor O'Reilly sums up his start-up approach here. Business Model Innovation - learns your daily routine and alerts you to anomalies or changes. Louise Rogerson, responsible for Operations at Howz, describes her start-up idea here. IoT & Digitization - builds predictive intelligence to remove uncertainty. Watch here how Co-Founder Sílvio Rodrigues describes his start-ups approach. Smart Grids - development and delivery of a software energy management storage platform. Co-Founder Clay Collier explains his start-up concept here. IoT & Digitization - provides digital identity authentication security solutions. Founder Ricardo Costa describes his start-up idea here. Smart Grids - all-in-one, self-install energy storage. Watch here how Founder and CEO Eric Clifton explains his start-up approach. Clean Energy - making energy storage affordable. Co-Founder and CTO/COO Daniel Crowley explains his start-up approach here. Smart Grids - designed the world's first and only low-cost direct-current (DC) bi-directional power meter and solar charge controller. Listen what Managing Director Sebastian Groh has to say about his start-up idea here. Energy Efficiency – automates drone industrial inspections. Watch here how CEO Geoffrey Vancassel sums up his start-up concept. IoT & Digitization - creates a peer-to-peer energy trading platform based on AI. Blockchain Project Manager Gavriel Landau explains his start-up approach here. It's a perfect match - smart startup ideas meet a transforming corporate that is re-inventing itself and has established lean and agile structures that speak “startup” and “corporate” language alike. We can help startups scale fast; startups can help us with the best possible products. We go outside to innovate from within. We couldn't be happier with the applications process. The bar was set very high with around 450 applications last year so we are very pleased to have exceeded that number. We believe that this is critical, as we are looking to grow Free Electrons so more startups can benefit. For our utility partners this is also very relevant as they want to source innovative solutions which can be adopted and integrated in their businesses. The finalists met in Lisbon for a Bootcamp week and in Australia and the Silicon Valley for the first modules. The next session is going to take place in Berlin. The idea of all the reunions and the accelerator itself: to connect innovative startup with ten of the leading energy companies. Check our latest FE blog post for more details and stay up to date on the LinkedIn page of Free Electrons. AEP, based in Columbus, Ohio, has an asset base of 65 billion USD. In 2017, AEP's electricity sales were approximately 194 million megawatt hours with 15 billion USD in revenue. Between 2018 and 2020, AEP plans to invest nearly 18 billion USD through its regulated and competitive companies to modernize the power grid, expand renewable energy resources and deliver cost-effective, reliable energy to customers in the U.S. market. EDP is an energy producer, distributor and retailer with around 12 million customers in Portugal, Spain and Brazil. EDP has around 25GW of power production capacity of which 10GW are wind power generation, making us the 4 th largest wind power producer in the world and 3 rd in the US, and 5GW are hydro. Our renewable power business is present in 14 countries including US, Brazil and several European countries. SP Group is a leading energy utilities group in the Asia Pacific. It owns and operates electricity and gas transmission and distribution businesses in Singapore and Australia, and district cooling businesses in Singapore and China. SP Group is committed to providing customers with reliable and efficient energy utilities services. More than 1.4 million industrial, commercial and residential customers in Singapore benefit from SP Group’s world-class transmission, distribution and market support services. These networks are amongst the most reliable and cost-effective world-wide. Tokyo Electric Power Company Holdings, Inc. (TSE: 9501), headquartered in Tokyo, Japan, is the largest utility in Japan serving millions of homes and businesses. Worldwide the company has more than 34 subsidiaries and 32 affiliates in 8 countries and employs approximately 42,060 people. Consolidated revenue for the fiscal year ending March 31, 2017, totalled 5.3 trillion Japanese yen. The company was established in 1951 and is listed on the First Section of the Tokyo Stock Exchange. Experience the innovative vibe first hand! For further innovation Hub videos check out our YouTube playlist. countries worldwide are in the scope of the utility partners and make Free Electrons a really global initiative. million customers have contracts with the eight partners. Thus, startups can profit from a huge customer-base. USD in revenue make the eigth utility partners leaders in the global world. The prize for the winner: 200,000 dollars! The global financial value of the contracts signed between the 12 startups and the 8 utilities at the end of Free Electrons' first edition, with a pipeline of opportunities being developed reaching over $12 million. In September 2017 the first round of Free Electrons ended in a Grand Finale Showdown in Singapore. BeOn Energy was chosen as the winner: The start-up from Portugal offers a DIY solar kit that can be plugged into an ordinary wall socket and is installed in fifteen minutes. Experience more about BeON here.